The best dentist in Bay Shore NY, Dr. Eugene Antenucci DDS, wants patients to understand just how important flossing is. Flossing helps to remove bacteria and other particles that are lodged between the teeth. While a toothbrush certainly helps, it mainly only removes plaque and bacteria on the surface areas of the teeth. Flossing can help you to maintain a healthy mouth, and healthy mouths can help to prevent serious illnesses. Since a toothbrush's bristles can't adequately clean between the teeth or under the gums it is important to floss as well as brush! It is best to floss before you brush, this way the plaque that is removed from flossing makes room for the fluoridated toothpaste. Flossing can also help to protect your gums. If your gums are not healthy you can develop periodontal (gum) disease, and eventually your teeth may fall out. If you do not floss, the sedentary and remaining particles will start to build up and turn into tartar. Luckily, floss can get into the space between the teeth and gums, removing much of the food and plaque that a toothbrush or mouthwash can't move. Another added benefit of flossing? It can help save you money in the long run by preventing you from needing emergency care and expensive dental treatments down the road! Extensive research has shown that the bacteria that flourish in an unhealthy mouth can harm the rest of the body, leading to heart disease, diabetes and respiratory illness. By flossing, you can avoid expensive dental work and prevent these illnesses! To learn how to floss properly call (631) 665-8484 or click here to schedule an appointment with your Bay Shore NY dentist. 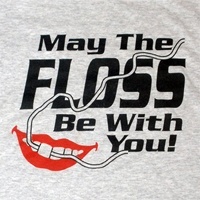 Eugene Antenucci DDS can help you and demonstrate the proper ways to floss and brush. Don’t hesitate, call today!